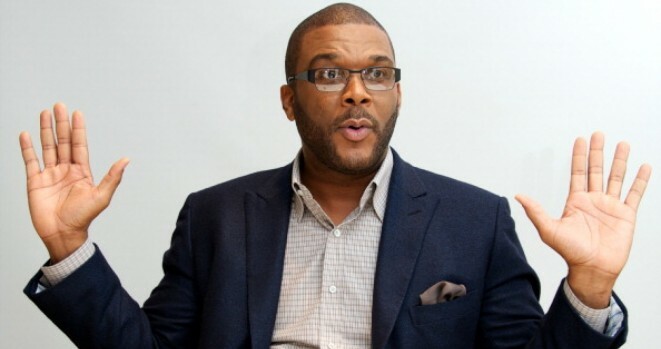 I’m going to be honest, I am not a fan of Tyler Perry anything(church gasp! ), so I doubt I will watch his talk show. Don’t get me wrong, his rags-to-riches climb to success is inspiring and what I admirable. However, all his productions have the same formula so I am curious to know what is Tyler’s format for the talk show. I’m sure Tyler will have some single black woman praying to find a good man as she struggles to survive as her successful but evil family member makes life harder for her. Throw in some big women singing choir robes and bible verses being recited at random. It will be like a nonstop Easter program at a black church: lengthy, loud, obnoxious, and you just want it to be over. This entry was posted in Celebri-TEA, Entertainment and tagged have and have nots, madea, oprah winfrey, own network, talk show, tyler perry by JimmieValentino. Bookmark the permalink.